Marcus Rashford managed to get himself on the scoresheet for Man United this evening, however it wasn’t enough to prevent the Red Devils from crashing out of the FA Cup to Wolves. United were 2-0 down thanks to goals from Raul Jimenez and Diogo Jota, with Rashford eventually pulling one back for the away side just seconds from full time. 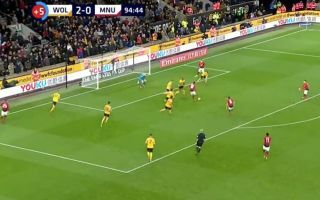 It was a fine finish from the England international, however it wasn’t enough for United in the end, as they crashed out of the competition, losing 2-1 to the Midlands side at Molineux.